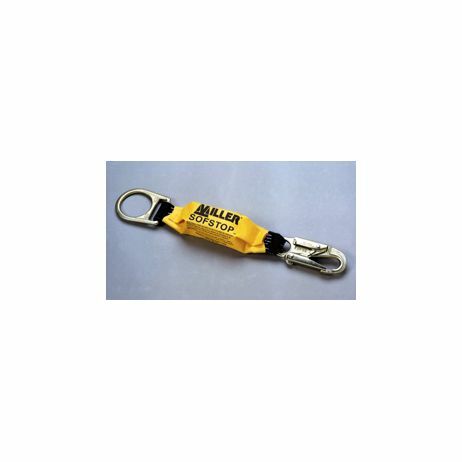 Miller StretchStop Lanyards combine the integral SofStopShock Absorber with a unique stretchable lanyard design. TheMiller SofStop Shock Absorber is a shock-absorbing pack witha specially-woven inner core that smoothly expands to reducefall arrest forces. A heavy-duty back-up safety strap is also incorporated for added fall protection.